1984 - The odiferous, abandoned sewage lagoon was filled. 1990 - In September, John and Kay Kendall propose the transformation of the abandoned sewage lagoon into a nature preserve. The proposal was accepted in October and by November the Nature Preserve Foundation was established. 1991 - Kendall Family donated $10,000, to determine the feasibility of site conversion in a study conducted by ESE Environmental Consultants. The initial investment was later returned by the City of Edwardsville. The plan called for a two lake system with shallow wetlands “designed to reconstruct a primordial swamp valley, as it might have occurred at the time of settlement.” The Army Corps of Engineers’ training officer, Del Krotz, initially wasn’t convinced the project would be possible - but agreed to try. Over 40,000 yards of dirt was excavated to create the lake and piled onto the uplands to create the prairie. The excavation was conducted by apprentices and limited by weather - taking four years to complete. Shell Oil donated over 10,000 gallons of diesel oil to operate the machinery. The non-profit status of the Nature Preserve Foundation was approved this year. 1992-1994 - Area families, local businesses, and community groups like the Kiwanis, Rotary Club, and Junior Service League supported the transformation with donations of their time, tools, and monetary contributions. A grant from the Illinois Department of Conservation was obtained for restoration of the wetland habitats and construction of the Welcome Center - groundbreaking started in 1992. 1993 - The NPF held a spring fundraiser that produced over $175,000 in donations and a grant valued at over $104,000 was received from the State of Illinois. The Observation Deck was completed and the first event took place on April 4th - a Wildflower Walk. 1994 - The Amphitheatre was completed in the Spring - while the Crow’s Nest, Elevated Walkway, and more were completed by Summer. 1995 - The Welcome Center was completed and the Watershed Nature Center welcomed its first visitors. Its mission to provide environmental education and passive recreation was embraced by the community as more individuals and groups recognized the value of restoring native habitats to our area. The building was designed by Jamie Henderson with consulting by architect, Stephen Kendall - and built by Joe Hutton of Miller and Maack Construction. The handicapped accessible trail was completed this spring and the original Bird Viewing Blind was completed in the summer Additionally, the Friends of the Watershed Nature Center Society was established. 1995-98 - The educational program enjoyed constant growth, facilitating Project WET, Project WILD, and more within our outdoor campus and laboratory. We hosted numerous field trips, teacher orientations, and environmental education trainings for teachers. 1996 - We celebrated our first Earth Day and in May the Kendalls were presented with the “Sons and Daughters of the Earth Award.” The Earth Savers Club started this year in September. 1997 - The Watershed received the “Governor’s Hometown Award,” from the Illinois Department of Commerce and Community Affairs. 1998 - The Kay Kendall Fund was established and a tree grove was planned in celebration of her life. 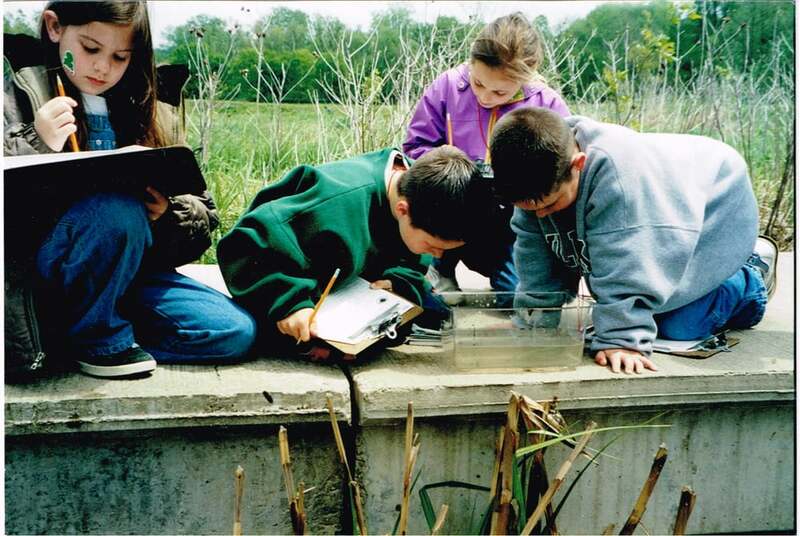 1999 - The Edwardsville School District worked with the Nature Preserve Foundation to design and implement an Environmental Science curriculum, bringing hands-on educational opportunities to thousands of school children. The King Rail was first seen at the Watershed in August and September of this year. 2006 - Webster Groves Nature Studies Society partners with Watershed. 2009 - The Watershed Restoration efforts begins to focus heavily on invasive species removal - as plants are adapting to the newly created environment. 2010 - In June, KMOV TV broadcast video footage of the Watershed as part of their “On the Road” series. In August, Family Circle Magazine listed Edwardsville as one of the “10 Best Towns for Families,” citing the Watershed Nature Center as one of the attractions that makes Edwardsville a great place to live. 2015 - Nature Next Door - draws a record number of visitors, in an extensive city wide partnership to showcase and provide access to local natural resources. Several boy scout projects are completed - including a digital map, snake signs, and a chimney swift tower. 2016 - The Watershed Nature Center celebrated our 25th anniversary! 2017 - The McCall Bird Blind and Bubbler is opened in June - realizing a long-term dream of Board Member and avid birder, Jack McCall. The McCall Family, including Ginger McCall, organized a memorial fundraiser to celebrate the life of Jack through this natural monument. The Watershed is officially free of one of invasive species long plaguing our forests: honeysuckle is erradicated.